Located in Grand Central Park in North Bonifacio Global City (BGC), Taguig, Madison Park West is steeped in verve that is undeniably cosmopolitan. With countless indoor and outdoor amenities, your days are filled with limitless activities. 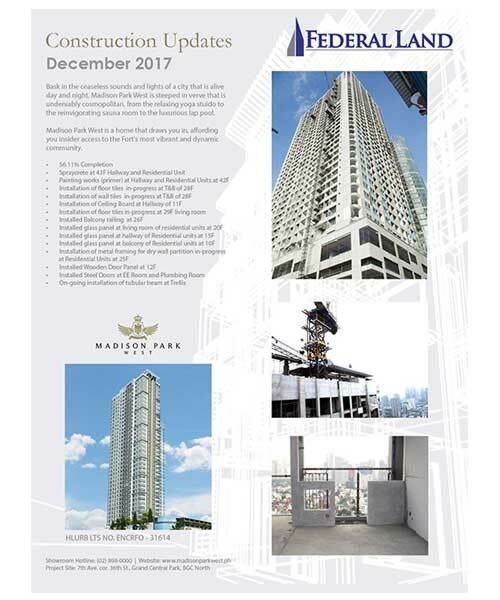 Madison Park West offers you luxurious condominium residences that draw you in, a home that affords you insider access to the BGC’s most vibrant and dynamic community.